Children varied in their abilities to colour. Some scribbled, some coloured but left white spaces while others coloured in perfectly. This is all part of their development. 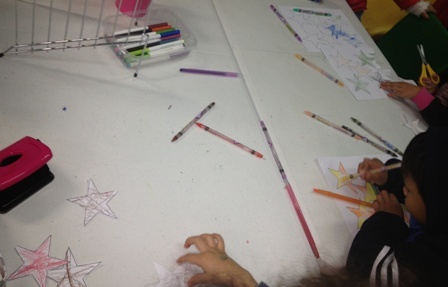 Children also varied in their cutting. It's to be expected. 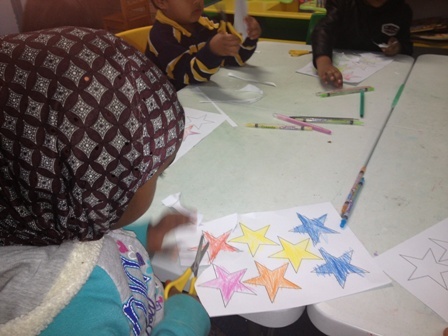 Here is the template for the star bunting. You will find that there are 2 different templates. 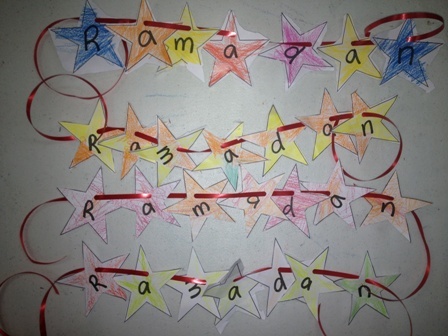 One is without the letters to 'Ramadan' while the other one has the letters on it. This is because if you are using this with prekinders then use the blank stars, have the children colour in, cut out then you write the letters on the stars. 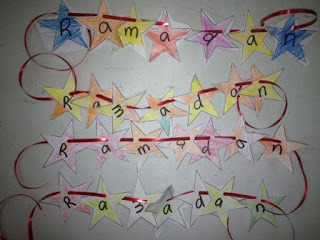 Children at this level will not know how to string the stars in the right sequence to form the word Ramadan. Now if you are using this with older children then use the stars with letters (of course you could let the older children use the blank stars and have them write the letters themselves onto the stars - up to you). 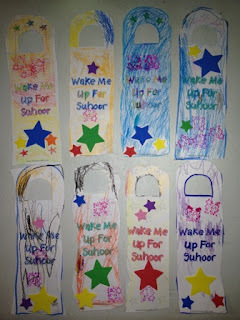 These are the Eid lolly 'bags'. 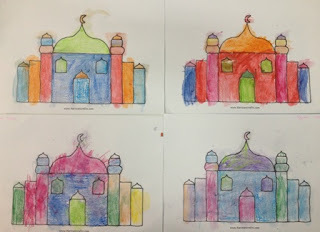 A bit fiddly for prekinders but it was worth it. They were so excited to make them and even more excited for me to fill them with goodies. Assalamualaikum, I just saw your post now! So glad you liked my crafts! Hope you had a great Eid. Wa alaykum salam. I just love your blog. Keep those crafts coming!